Cabo Frio is considered to be one of the oldest settlements in Brazil. It started functioning as a port by 1500, when wood was shipped from Brazil to Portugal. Cabo Frio is a paradise for water sports fans. The azure waters are warm and clear and the diving is one of the best in the world. The pristine beaches are scenic. The weather at Cabo Frio is a tropical rainforest climate with no dry season. This beach town developed into a tourist haven only during the 20th century. It has developed hapzardly to accomodate the growing number of visitors each season. It gets crowded during the summer, February and March are the hottest months with temperatures of 23 °C C to 37 °C. December is the wettest month in the year. A beach town, the visitor can relax, enjoy a drink on the beachfront and indulge in the seafood. The currency used is the Brazil Reais. The picturesque Forte São Mateus was built between 1616 and 1620. It was built by the Portuguese to guard their holdings over this area and protect their lucrative wood business. This was built on the top of a little island just off the eastern end of Praia do Forte, so that they could see the invaders approaching the land. The army had installed a canon and this was fired to warn the people at Rio de Janiero of intruders. Cabo Frio was an important port for Rio de Janiero. Today, visitors can still see the cannons at this fort. Around 1899, this fort was used as a quarantine station for victims of a infectious disease that was affecting people of Cabo Frio. A light house was built in the 1930s, but it was never used. In the mid 20th century, restorations were undertaken and this fort was set to become a tourist attraction.Today, it is a beautiful remainder of a turbulent history from the past. The climb up to the fort is rocky and not easy. A scenic setting for the local folk art on display and for sale. This is a beautiful location to watch the sunset and enjoy the panoramic view of the seas. Time: 10:00 to 17:00 Monday to Sunday. Praia do Pero is a beautiful beach with a coastline that is 7 km long. It has a kiosk on the beachfront, where you can sample delicious seafood. Highly recommended are the shrimps, lobsters, mussels, squid and a variety of fish, wash it all down with a local beer. Delicious! The beaches of Cabo Frio are pristine and clear and this beach is also a paradise for water lovers. The water is crystal clear with waves and the water temperature is about 22 C. The Praia do Peró is a popular spot for fishing. There is an abundance of anchovies, mullet and whiting. A quiet spot to sunbath near the sand dunes. The Canal Boulevard is located on the banks of the Canal Itajuru. It is a major tourist destination that is between the St. Benedict center and the district. A beautiful spot where during the day, they offer tours of boats, Ferry Terminal and visits to the Carlos Scliar, a cultural experience. After sunset, this turns into a magical area of nightclubs and bars that tourists flock it to have fun. There are many restaurants that serve food from around the world and an impressive wine list. Explore the Canal Boulevard, and enjoy the local sights and entertainment. 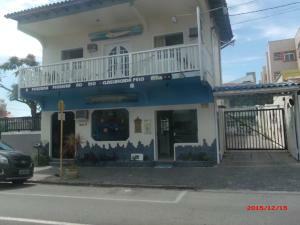 Address: Rua Itajuru, Centro, Cabo Frio. Brasil. Apartamento temporada em Cabo Frio Rj perto da praia do Forte. Great apartment, furnished, on the beach of Forte. CARNAVAL 2019 Cabo Frio / Forte R $ 1. 500 2 Q; 2 Baths. lift Garag. Great location. All rooms equipped with air conditioning and fan! Cabo Frio International Airport (CFB) is the airport serving Cabo Frio. It is about 9 km away from down town and it takes about 20 minutes to reach the city. There are many options to get into the city. Taxi: Shuttle sevices: These are cheaper than a taxi, but they take longer to reach your destination. These airport shuttles are outside the arrival terminal. Private car: You can hire private vehicles depending on the number of people in your group. The drivers speak many languages and are aware of the route to all the resorts and hotels. They will drop you to your destination and not at designated spots. Rain Transfers Telephone: 0090 252 417 83 05 You can get a bus into Cabo Frio Viação 1001, the bus company offers buses departing every hour from Rio, Niterói, and São Paulo to Cabo Frio. www.autoviacao1001.com.br Telephone: (21) 4004-5001 www.salineira.com.br Telephone: 0800-886-1000 By sea You can always bring you boat into the port of Cabo Frio. Getting around the city Taxis are the best option. Do settle on the rates before getting into one. Buses are not very regular, but they are cheap. Walking is the best way to get to the beach.